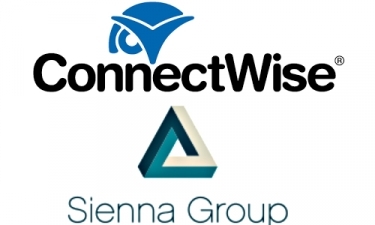 ConnectWise, a leading provider of productivity software for home-technology integrators and other service providers, will now offer cybersecurity services with the acquisition of Sienna Group. ConnectWise acquires data-security firm Sienna Group. ConnectWise, a leading provider of productivity software for home-technology integrators and other service providers, has acquired Sienna Group, LLC, a leading managed security services provider (MSSP). The acquisition enables ConnectWise to offer cybersecurity services to managed service providers (MSPs). Terms of the transaction were not disclosed. “The acquisition of Sienna Group will enable us to form the Cybersecurity Center of Excellence to educate MSPs on best practices of every aspect of cybersecurity,” states Arnie Bellini, CEO of ConnectWise, in an announcement. “The Sienna Group has more than 130 years of combined cybersecurity experience and understands how to provide those services to small- to medium-sized businesses (SMBs). Our mission is to leverage this expertise to educate, support and consult MSPs in the delivery of cybersecurity services because we want every MSP to learn how to safeguard its clients’ systems and critical data,” Bellini continues. "The acquisition of Sienna Group will enable us to form the Cybersecurity Center of Excellence to educate MSPs on best practices ...."
According to Cybersecurity Ventures, cybercrime has risen to $6 trillion annually, or 7% of the world’s economy. And the frequency and intensity of cyberattacks continues to grow. MSPs are frequently held liable for client breaches — even when the MSP is not responsible for that client’s cybersecurity services, according to the announcement. The capabilities and expertise that Sienna Group offers will provide a means for ConnectWise partners to assess their own business’ cyber vulnerabilities and to learn how to better protect themselves from liability when their customers are targeted by cyber criminals. The acquisition is also said to support ConnectWise’s strategy to provide an ecosystem of security solutions that are accessible and affordable, especially for its SMB partners who are looking for new ways to expand their set of offerings at a time when these services represent the next big revenue opportunity for MSPs. “MSPs already have a trusted relationship with their customers, so they are well-positioned to provide managed security services. At ConnectWise, we will continue to build our set of security offerings — both through acquisitions such as the one announced today and through partnerships with the channel’s best security vendors – to make it easier than ever for our partners to take advantage of the revenue opportunity that comes with being able to keep their customers safe from cyberthreats,” Bellini says. John Ford, CEO and founder of Sienna Group, states he and his team are pleased to be part of the ConnectWise family. The Tampa-based Sienna Group was founded in 2012 by Ford, a cybersecurity industry veteran who previously served as CISO and CCO of several large healthcare, technology and government organizations. Prior to working at Sienna Group, Ford’s team members held leadership positions with federal organizations and global enterprise corporations. Sienna Group’s solution portfolio includes managed data security services; governance, risk and compliance assessments; sensitive data discovery and classification; and security awareness training. It was named one of CIOReview’s “20 Most Promising Compliance Technology Solution Providers” in 2017. In November, Bellini announced during his keynote address at IT Nation Connect, the company’s annual thought leadership conference for IT business owners, that ConnectWise is providing a cybersecurity risk assessment tool and a vulnerability scanner free of charge for three months to MSPs.